Get Maine Lobster is offering securities under both Regulation D and Regulation CF through SI Securities, LLC ("SI Securities"). SI Securities is an affiliate of SeedInvest Technology, LLC, a registered broker-dealer, and member FINRA/SIPC. SI Securities will receive cash compensation equal to 7.50% of the value of the securities sold and equity compensation equal to 5.00% of the number of securities sold. Investments made under both Regulation D and Regulation CF involve a high degree of risk and those investors who cannot afford to lose their entire investment should not invest. Furthermore, the contents of the Highlights, Term Sheet sections have been prepared by SI Securities and shall be deemed broker-dealer communications subject to FINRA Rule 2210 (the “Excluded Sections”). With the exception of the Excluded Sections noted above, this profile contains offering materials prepared solely by Get Maine Lobster without the assistance of SI Securities, and not subject to FINRA Rule 2210 (the “Issuer Profile”). The Issuer Profile may contain forward-looking statements and information relating to, among other things, the company, its business plan and strategy, and its industry. Investors should review the risks and disclosures in the offering's draft. The contents of this profile are meant to be a summary of the information found in the company’s Form C. Before making an investment decision, investors should review the company’s Form C for a complete description of its business and offering information, a copy of which may be found both here and below. Over $6.5M in revenue during 2016 and 2017. Since inception we have served over 250,000 meals served to 100,000+ customers, delivering to all 50 states in the US. 30% of people that order from us once, order a second time. Once we get the second sale, 49% order again. YOY we increase our retention rate by 7%. 2017 USA Today selection: 50 States: 50 Gifts of Taste. Also seen on: Inc., Chase Bank, ESPN, WSJ, and more. Third-party selling program includes Groupon, Living Social, Touch of Modern, Gilt City, Rue La La, and more. Lobster Rolls for the easy summer picnic, or live Maine lobster dinners for special occasions. Get Maine Lobster is a direct-to-consumer company delivering fresh Maine lobster and seafood to customers across the U.S – dock 2 doorstep! 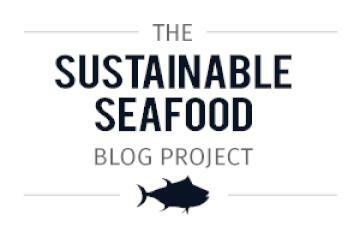 In the past year there has been a 30% increase in seafood consumption by millennials and 70% have switched to a healthier diet. According to Technomic Surveys, 71% are more interested in where their foods come from and how it is grown or produced. We're excited to deliver our experience from dock to doorstep as more and more people seek lobster and seafood as their healthy protein of choice. Our passion is to perfect how people discover, acquire, and experience highly perishable proteins. Today, there is fear and stigma surrounding the acquisition and preparation of fresh seafood. This is also the case with many other highly sought after proteins and it prevents a large number of people from experiencing tastes and foods that they are not familiar with. We have worked tirelessly to make these proteins not only easier to acquire but more approachable and enjoyable for the whole family. We are continuously evolving in delivering an exceptional experience from the first "click" to the last dish. Not only do we strive to get our customers the best quality product from the best source, but we have even been known to work directly with our customers to teach them how to best prepare their gourmet proteins. Our goal is to reach 1M served by 2020, leveraging technology and our IP to re-design the way people discover, acquire, and experience the premium foods they love. We bend-over-backwards to deliver an exceptional experience. This process begins with our obsession for providing world class service and ends with curating amazing quality. Along with service and quality, we leverage story and technology to build raving, loyal fans. We have successfully served over 250,000 meals since inception. We begin with the end in mind. How do we delight our customers' palates and their wallets? As a high volume shipper, we have exclusive discounts, giving us access to highly sought after foods and allowing us to reduce our cost of delivery. By focusing on the desired result of the end consumer, we continue to build a direct-to-consumer sales engine that yields high sales velocity and loyalty. A consistent pain point for Grocery stores is shrink. Shrink is the product you end up throwing away when it fails to be sold. We've built and continue to improve online capabilities for grocery stores to sell seafood products online without ever handling the product. Because of non-disclosure agreements, we are not able to disclose those we currently serve (and are building), however, our latest project is Albertsons OWN brand, which is due to launch this year. As an online marketplace, our services are available to every doorstep in the USA (and beyond, we have shipped to Mexico and Puerto Rico). Our largest segment is 55+ affluent females, and California is our largest geo-market. Florida, New York, Texas, and Illinois are close behind. Our customers tend to value travel, family, and are foodies that have an affinity for finer foods. In late 2016, we designed a unique, fully-custom, and simple gift redemption experience for corporations. The $22B corporate gifting industry is ripe for disruption, and our rapid flexibility and unique product has landed us with top global brands, like NY Life. We're excited to continuously evolve our corporate giving offerings, not only our product line, from a platform standpoint as well. GetMaineLobster.com ships a high volume of orders annually. 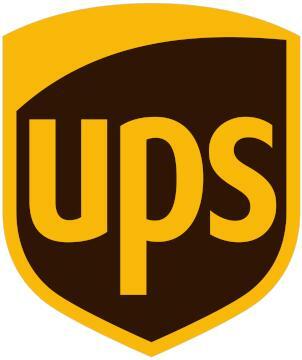 This gives us highly competitive shipping rates, giving us an advantage over our competitors. Accordingly, we operate virtually, alleviating us from the burden of certain operational overhead and allowing us to focus more on designing irresistible customer experiences. We have an extensive 3rd party selling program and have designed a seamless process, allowing us to throttle sales via others efforts. These sellers include, but are not limited by; Groupon, Livings Social, Amazon, Ebay, Touch of Modern, Gilt City, and Rue Lala. Powerful lead nurturing program: 83% of organic subscribers became customers. 30% of customers ordered a second time. From there, 49% have ordered again. Finally, we have a higher Facebook rating than those we see as our main competitors. Our obsession with delivering unforgettable experiences fuels our word-of-mouth growth. According to Nielsen, 92% of consumers believe recommendations from friends and family over all forms of advertising. When Mainer’s need lobster delivered outside of Maine, they call me. From sending lobsters to their friends, to sending lobsters to Martha Stewart’s studio, to a meeting of the Mayors along the US and Canadian border... they rely on us. In 2010, we came on the scene and immediately put a dent in the market. We focused on the net experience of the customer, had a strong sense of the economics of the experience, and constantly iterated to be the most competitive, trusted, and fun service provider in the market. Chase Bank asked me, of all the small businesses they serve, to be a part of a national ad campaign...I was truly honored and humbled. USA Today choose us to represent Maine >> 50 tastes from 50 states. We shipped lobster to Martha Stewart's studio in NYC. Every year something new and amazing comes our way. We wake up every day feeling like winners. I mean think about it, we get to serve people's most treasured moments. In the end, we're just a group of people completely obsessed with delivering unforgettable moments. When we're not hunched over laptops, watching the journey of every order, we do what most Mainer's do...we enjoy our families, the outdoors, the Sox, Patriots, Bruins, and Celtics. And yes, we eat lots of lobster! Mark Murrell founded GetMaineLobster.com-Black Point Seafood in 2010 with the primary goal of making fresh Maine seafood available to anyone in the continental United States—no small task—but he has accomplished the feat by establishing an online business that provides dock-to-doorstep delivery of the world’s best lobster—Maine lobster—as well as seafood appetizers and select beef. An accomplished businessman, Mark’s company quadrupled its customer base since its first year of operation and earned a reputation for excellent customer service nationally. 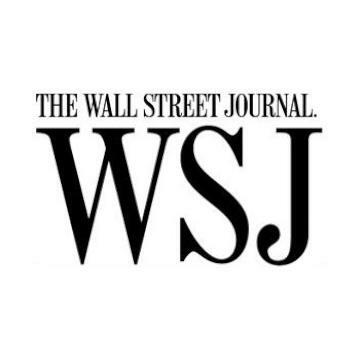 Mark and his business have been featured in the Wall Street Journal and USA Today and recommended on Rachel Ray and ESPN. Additionally, out of 4 million small businesses that Chase serves, Mark and GetMaineLobster.com/Black Point Seafood, were recently selected to be featured in the 2013 Chase National Advertising Campaign. Recognized as a leader in Marketing, combined with his unique approach and enthusiasm for his work, Mark is often sought after to consult other industries interested in expanding to or increasing visibility on the Internet. His expertise in leveraging the Internet to capture qualified prospects led to the development of unique marketing products and tools that automate sales efforts. Additionally, the success of his online food business has led to numerous requests from professionals interested in replicating his online business model. Mark holds a degree in Hospitality and Media writing from from Newbury College the University of Southern Maine. He currently resides in Yarmouth, Maine with his wife and daughter. In summer he loves all that Maine has to offer, time at the lake or ocean, grilling on the back deck, festivals, or just relaxing on the dock. During the winter, well, Mark doesn’t want to talk about that. What is being done to increase gross margins? We are increasing the supplier network, renegotiating shipping contracts already, and working on a new technology platform with faster pricing, up-sells, and geo-targeting. Why have sales gone up (2016-2017) 10% and gross margins stayed the same? Lobster is a commodity, the cost of goods change. Who are your competitors and why are you better? Please detail competitive advantages. How are you different from the rest? We see our main competitors as Lobster Gram, Hancock Gourmet Lobster, Maine Lobster Direct, and Maine Lobster Now. Our distinction includes our better product (our suppliers are MSC certified), better Individual Quick Freezing (lobster tail supplier), partnerships with grocers, partnerships with 3rd party channels, higher rating on Facebook than our main competitors, preferred shipping rates, our team, and our use of multiple suppliers which gives us flexible fulfillment. Our current partnerships include Inland Seafood (costco.com), New York Life Insurance Company (Corporate Gifting), Fabio Viviani (Celebrity Chef, https://lobster-by-fabio.myshopify.com/ ), Martha Stewart Studio (Production Supply), Maine Lobster Collaborative (Event Supply), and Chase (https://www.youtube.com/watch?v=-1imY2nEvWM). Some partnerships we have in the works include Albertsons/Safeway (Approved vendor, online marketplace. Potential for Kiosk by fish counter. Includes other Albertsons stores; Jewel, ACME, Shaw’s, Tom Thumb) and an online grocery initiative in partnership with DeMott Associates; Sprouts, Lucky’s, Target. While Black Point Seafood, LLC has set an overall target minimum of US $450,000 for the round, Black Point Seafood, LLC must raise at least US $25,000 of that amount through the Regulation CF portion of their raise before being able to conduct a close on any investments below $20,000. For further information please refer to Black Point Seafood, LLC's Form C.
*Invest by 11:59pm ET on Monday, September 7th to receive the next tier of perks (one tier up from your investment amount). Applicable for $5,000 investments and above. *First 50 investors to invest $1,000 or more will receive our limited edition GML Dock t-shirt (you're family now). Single Claw >> $2500 investment or more: Autographed Get Maine Lobster Ball Cap. Double Claw >> $5000 investment or more: Virtual lobster cooking lesson with Mark. Bronze >> $10,000 investment or more: Two $200 Gift Certificates. Silver >> $25,000 investment or more: Lobster Tails for a year. Gold >> $50,000 investment or more: Get Maine Lobster sweatsuit + Two $200 Gift Certificates. Platinum >> $100,000 investment or more: Mark cooks lobster dinner for 6 in your home. Double Platinum >> $250,000 investment or more: The Maine Lobster Experience for 2. Includes lobstering, a boat tour of Portland, and a lobster bake. The graph below illustrates the valuation cap or the pre-money valuation of Get Maine Lobster's prior rounds by year. Please see the financial information listed on the cover page of this Form C and attached hereto in addition to the following information. Financial statements are attached hereto as Exhibit B. Holdings is taxed as an S corporation. In September 2016, primarily for tax reasons, to accommodate an investment, the business was restructured as a limited liability company with Holdings as its sole member and the Founder as its manager. In connection with the restructuring, Holdings contributed all of its assets, including all of its contractual rights, to the Company, in exchange for 100% of the membership interests in the Company. Following the restructuring, although all of Holdings’ contractual rights had been contributed to the Company, vendors and other third parties continued to make payments to Holdings’ accounts. Because the Company was a single member limited liability company, for tax purposes, it was disregarded, and only Holdings has filed tax returns. As a result, the Company’s consolidated financials set forth herein include all payments made to and by Holdings on behalf of the Company since the restructuring. Prior to the closing of this Offering, the Company and Holdings are taking steps to ensure that all future payments are properly paid to Company accounts rather than Holdings accounts. ● All payments made by third party sellers such as Groupon, Amazon, and Ebay. ● All payments made by the Company’s customers to Holdings’ American Express merchant account. ● All so-called “remote deposits:” checks deposited into Holdings’ bank account. Since December 31, 2017, the Company has paid off certain high interest debt and taken deliberate actions to reduce expenses in its supply chain and increase its revenue. In the 12 months after receiving funding, the Company intends to return to and grow profitability by continuing to identify measures to reduce expenses in our supply chain and to increase our revenue. Accounts payable comprises of current portions of outstanding debt and a credit card balance. The balance of the credit card is $44,504.40, with an interest rate of 16.74%. Note Receivable includes $196,565 due from related party, Mark Murrell and other shareholders. Mark is the founder and owner of 96% of the outstanding stock of Holdings, and Holdings is the sole member of the Company. The Company recognizes revenue when persuasive evidence of an arrangement exists, delivery has occurred, or services have been rendered, the fee for the arrangement is fixed or determinable and collectability is reasonably assured. Holdings applies ASC 740 Income Taxes (“ASC 740”). Deferred income taxes are recognized for the tax consequences in future years of differences between the tax bases of assets and liabilities and their financial statement reported amounts at each period end, based on enacted tax laws and statutory tax rates applicable to the periods in which the differences are expected to affect taxable income. Valuation allowances are established, when necessary, to reduce deferred tax assets to the amount expected to be realized. The provision for income taxes represents the tax expense for the period, if any and the change during the period in deferred tax assets and liabilities. ASC 740 also provides criteria for the recognition, measurement, presentation and disclosure of uncertain tax positions. A tax benefit from an uncertain position is recognized only if it is “more likely than not” that the position is sustainable upon examination by the relevant taxing authority based on its technical merit. Holdings is subject to tax filing requirements as a corporation in the federal jurisdiction of the United States. Holdings sustained net operating losses during fiscal years 2016 and 2017. Net operating losses will be carried forward to reduce taxable income in future years. Due to management’s uncertainty as to the timing and valuation of any benefits associated with the net operating loss carryforwards, the Company has elected not to recognize an allowance to account for them in the financial statements. Net operating losses expire if unused after twenty tax years. Holdings’ federal tax filings for 2015, 2016, and 2017 will remain subject to review by the Internal Revenue Service until 2019, 2020, and 2021, respectively. For the years ended December 31, 2017 and 2016, Black Point Seafood, LLC was a disregarded entity for federal income tax purposes. The Company is subject to income tax filing requirements in the State of Maine. The Company’s tax filings in the State of Maine for 2015, 2016, and 2017 remain subject to review by that State until 2020 and 2021, respectively. Holdings is subject to the income tax filing requirements in the State of Florida. Holdings’ tax filings in the State of Florida for 2015, 2016, and 2017 remain subject to review by that State until 2019, 2020, and 2021, respectively. Upon the closing of the Offering, as described in “Taxation as a Partnership” above, the Company will be treated as a partnership for federal income tax purposes and in becoming a member of the Company you will agree not to take any action inconsistent with the Company’s classification as a partnership for federal income tax purposes. The classification of the Company as a partnership applies only for federal and, as applicable, state and local, income tax purposes, and its characterization as such, solely for tax purposes, does not create or imply a general partnership or mutual agency between the Members for state law or any other purpose. The proceeds from the Offering are essential to our operations. We plan to use the proceeds as set forth above under "Use of Proceeds", which is an indispensable element of our business strategy. The Offering proceeds will have a beneficial effect on our liquidity, as we have approximately $93,855.65 in cash on hand as of 7/31/2018 which will be augmented by the Offering proceeds and used to execute our business strategy. Data from NMFS Landings Query (2012-2016, LOBSTER, AMERICAN, New England) This data shows the total amount of lobster that is caught in New England per year valued at Market Price. The online seafood business is a continuously growing and involving industry. At an average retail price of $30 per pound, the online lobster market has a Total Addressable Market of about $4.75 billion dollars. With the expanding popularity of online grocers and meal kit services, there have been continual upward shifts in the market. There has also been a consolidation of online lobster merchants as eCommerce technology becomes available. Combine these factors with a rapidly growing demand for lobster in China, and the industry is ripe for the expansion of Get Maine Lobster. At Get Maine Lobster, our target market is constantly growing as more and more people are able to obtain gourmet proteins. With the increasingly popular online grocery and home meal kit markets, more and more people are becoming more comfortable with ordering and preparing expensive proteins. With the acquisition of Whole Foods by Amazon, the legitimacy of the online grocery store is cemented and more and more consumers are turning to the internet for their grocery shopping. We believe that with the unbeatable and undeniable quality of our seafood and our industry standard customer service and shipping, we stand out amongst all competition and are ready to become the leading source of online gourmet seafood. The Company has a significant amount of debt. Please see Note D of the CPA Reviewed Financial Statements (Exhibit B of the Form C and in Data Room) for details. The Company deals with live animals (lobsters) and vast amounts of regulation applicable to shipping live animals. There is a risk that regulations could change in a manner that adversely affects the Company’s ability to ship live lobsters across the country. Climate change may adversely affect the Maine fishery. Drastic climate change may have a negative impact on the productive capacity of the Maine fishery. Accordingly, a decline in fishery stocks coupled with increases in worldwide demand for Maine seafood could negatively impact the Company’s procurement and costs. The Company’s revenue is seasonal and heavily tied to either holidays or the summer months. Because of that, cash flow is very lumpy, and the Company will need to make accurate budgets to maintain proper cash positions. The Company’s sales are very heavily tied to expenditures on marketing and advertising. If the Company is not able to maintain strong advertising and marketing, our sales may be negatively impacted. The Company has had limited outside investors and no true institutional round. Prior to the Offering, the Company has been a single-member, manager-managed limited liability company and operated as a closely held business. Damage to our reputation could negatively impact our business, financial condition and results of operations. Our reputation and the quality of our brand are critical to our business and success in existing markets, and will be critical to our success as we enter into new markets. We believe that we have built our reputation on the high quality of our food and service, and our commitment to our customers, and we must protect and grow the value of our brand in order for us to continue to be successful. Any incident that erodes consumer loyalty for our brand could significantly reduce its value and damage our business. We may be adversely affected by any negative publicity, regardless of its accuracy. Ultimately, the risks associated with any such negative publicity or incorrect information, whether disseminated through social media platforms or similar devices, including weblogs (blogs), social media websites and other forms of Internet-based communications, that provide individuals with access to a broad audience of consumers and other interested persons cannot be completely eliminated or mitigated and may materially harm our reputation, business, financial condition and results of operations. Shortages or interruptions in the supply or delivery of food products could adversely affect our operating results. We are dependent on frequent deliveries of food products that meet our specifications. Shortages or interruptions in the supply or delivery to our customers of our food products caused by problems in distribution, inclement weather, unanticipated demand or other conditions could adversely affect the availability, quality and cost of our products, which would adversely affect our operating results. We have a limited number of suppliers for our major products and rely on only a few distribution companies for the majority of our deliveries. If our suppliers or distributors are unable to fulfill their obligations under our arrangements with them, we could encounter supply shortages or failed deliveries and incur higher costs. We have a limited number of suppliers for our major products, including live Maine lobster, lobster tails, lobster value-add products. In fiscal 2017, we purchased all of our (i) lobster and seafood from 2 suppliers. Due to this concentration of suppliers, the cancellation of our supply arrangements with these suppliers or the disruption, delay or inability of these suppliers to provide these major products to our distributors for delivery to our customers may materially and adversely affect our results of operations while we establish alternative supply channels. In addition, if our suppliers fail to comply with food safety or other laws and regulations, or face allegations of non-compliance, their operations may be disrupted. We cannot assure you that we would be able to find replacement suppliers on commercially reasonable terms or a timely basis, if at all. Although we believe that alternative supply and distribution sources are available, there can be no assurance that we will continue to be able to identify or negotiate with such sources on terms that are commercially reasonable to us. If our suppliers or distributors are unable to fulfill their obligations under their contracts or we are unable to identify alternative sources, we could encounter supply shortages and incur higher costs, each of which could have a material adverse effect on our results of operations. Security breaches of confidential customer information, in connection with our electronic processing of credit and debit card transactions, may adversely affect our business. Our business requires the collection, transmission and retention of large volumes of customer data, including credit and debit card numbers and other personally identifiable information, in various information technology systems that we maintain and in those maintained by third parties with whom we contract to provide services. The integrity and protection of that customer data is critical to us. Further, our customers have a high expectation that we and our service providers will adequately protect their personal information. A significant theft, loss or misappropriation of, or access to, customers' or other proprietary data or other breach of our information technology systems could result in fines, legal claims or proceedings, including regulatory investigations and actions, or liability for failure to comply with privacy and information security laws, which could disrupt our operations, damage our reputation and expose us to claims from customers, any of which could have a material adverse effect on our financial condition and results of operations. Increased food commodity and energy costs could decrease our operating profit margins or cause us to limit or otherwise modify our product selection, which could adversely affect our business. Our profitability depends in part on our ability to anticipate and react to changes in the price and availability of food commodities, including among other things live lobster and frozen seafood. Prices may be affected due to market changes, increased competition, the general risk of inflation, shortages or interruptions in supply due to weather, disease or other conditions beyond our control, or other reasons. These events, combined with other more general economic and demographic conditions, could impact our pricing and negatively affect our sales and operating profit margins. Prior to the closing, the Company has been a single member limited liability company with its founder as its manager, and has not therefore benefited from the critical role a board of directors can play in effective risk oversight. To date the Company has not yet formed a board of directors as it has been a single member limited liability company with its founder as its manager. Although the Company is not legally required to have a board of directors to oversee the management of the Company, boards also play a critical role in effective risk oversight. A board helps ensure that management’s actions are consistent with corporate strategy, reflective of the culture of the business, and in line with the organization’s risk tolerance. The Company, however, will have a board of directors in place on the closing pursuant to the terms of its LLC agreement. Concentration of risk. Financial instruments that potentially subject the Company to credit risk consist of cash and cash equivalents. The Company places its cash and cash equivalents with a limited number of high quality financial institutions and at times may exceed the amount of insurance provided on such deposits. Taxation as Partnership. The Company has been formed so as to qualify and will be treated as a partnership for federal income tax purposes and in becoming a member of the Company you will agree not to take any action inconsistent with the Company’s classification as a partnership for federal income tax purposes. The Company will not be operated or treated, however, as a “partnership” for purposes of Section 303 of the United States Bankruptcy Code, 11 U.S.C. §101, et seq. The classification of the Company as a partnership applies only for federal and, as applicable, state and local, income tax purposes, and its characterization as such, solely for tax purposes, does not create or imply a general partnership or mutual agency between the Members for state law or any other purpose. Instead, the Members acknowledge the status of the Company as a limited liability company formed under the Maine Limited Liability Company Act. Although the Company’s equity as of the Closing will be divided into classes named Series Seed Preferred Stock, Common Stock, and Subordinated Stock, such classes are equity interests or membership interests in a limited liability company rather than a corporation and upon your subscription of Series Seed Preferred Stock pursuant to a Subscription Agreement you will become a member of the Company, which, as discussed above, is taxed as a partnership rather than a stockholder of equity interests in a corporation, which equity interests are commonly referred to as stock. The Series Seed Preferred Stock will not be freely tradable until one year from the initial purchase date. Although the Series Seed Preferred Stock may be tradable under federal securities law, state securities regulations may apply and each Purchaser should consult with his or her attorney. You should be aware of the long-term nature of this investment. There is not now and likely will not be a public market for the Series Seed Preferred Stock. Because the Series Seed Preferred Stock have not been registered under the 1933 Act or under the securities laws of any state or non-United States jurisdiction, the Series Seed Preferred Stock have transfer restrictions and cannot be resold in the United States except pursuant to Rule 501 of Regulation D. It is not currently contemplated that registration under the 1933 Act or other securities laws will be effected. Limitations on the transfer of the Series Seed Preferred Stock may also adversely affect the price that you might be able to obtain for the Series Seed Preferred Stock in a private sale. Purchasers should be aware of the long-term nature of their investment in the Company. Each Purchaser in this Offering will be required to represent that it is purchasing the Securities for its own account, for investment purposes and not with a view to resale or distribution thereof. The founder of the Company beneficially owns substantially all of its equity. Prior to the Offering the Company’s founder, Mark Murrell, beneficially owns 96% of the Company’s outstanding Membership Interests. Subject to any fiduciary duties owed to our other owners or investors under Maine law, the Founder may be able to exercise significant influence over matters requiring owner approval, including the election of directors or managers and approval of significant Company transactions, and will have significant control over the Company’s management and policies. The Founder may have interests that are different than yours. For example, the Founder may support proposals and actions with which you may disagree. The concentration of ownership could delay or prevent a change in control of the Company or otherwise discourage a potential acquirer from attempting to obtain control of the Company, which in turn could reduce the price potential investors are willing to pay for the Company. In addition, the Founder could use his voting influence to maintain the Company’s existing management, delay or prevent changes in control of the Company, or support or reject other management and board proposals that are subject to owner approval. Your ownership of the shares of preferred stock may be subject to dilution. Non-Major Purchasers (as defined below) of preferred stock do not have preemptive rights. If the Company conducts subsequent offerings of preferred stock or Securities convertible into preferred stock, issues shares pursuant to a compensation or distribution reinvestment plan or otherwise issues additional shares, investors who purchase shares in this Offering who do not participate in those other stock issuances will experience dilution in their percentage ownership of the Company’s outstanding shares. Furthermore, Purchasers may experience a dilution in the value of their shares depending on the terms and pricing of any future share issuances (including the shares being sold in this Offering) and the value of the Company’s assets at the time of issuance. You will be bound by an investor proxy agreement, which limits your voting rights. All Non-Major Purchasers of Series Seed Preferred Stock will be bound by an investor proxy agreement. This agreement will limit your voting rights and at a later time may require you to convert your future preferred shares into common shares without your consent. Non-Major Purchasers will be bound by this agreement, unless Non-Major Purchasers holding a majority of the principal amount outstanding of the Series Seed Preferred Stock held by Non-Major Purchasers vote to terminate the agreement. The Securities will be equity interests in the Company and will not constitute indebtedness. The Securities will rank junior to all existing and future indebtedness and other non-equity claims on the Company with respect to assets available to satisfy claims on the Company, including in a liquidation of the Company. Additionally, unlike indebtedness, for which principal and interest would customarily be payable on specified due dates, there will be no specified payments of dividends with respect to the Securities and dividends are payable only if, when and as authorized and declared by the Company and depend on, among other matters, the Company’s historical and projected results of operations, liquidity, cash flows, capital levels, financial condition, debt service requirements and other cash needs, financing covenants, applicable state law, federal and state regulatory prohibitions and other restrictions and any other factors the Company’s board of directors deems relevant at the time. In addition, the terms of the Securities will not limit the amount of debt or other obligations the Company may incur in the future. Accordingly, the Company may incur substantial amounts of additional debt and other obligations that will rank senior to the Securities. There can be no assurance that we will ever provide liquidity to Purchasers through either a sale of the Company or a registration of the Securities. There can be no assurance that any form of merger, combination, or sale of the Company will take place, or that any merger, combination, or sale would provide liquidity for Purchasers. Furthermore, we may be unable to register the Securities for resale by Purchasers for legal, commercial, regulatory, market-related or other reasons. In the event that we are unable to effect a registration, Purchasers could be unable to sell their Securities unless an exemption from registration is available. The Company does not anticipate paying any cash dividends or distributions for the foreseeable future, other than tax distributions. The Company currently intends to retain future earnings, if any, for the foreseeable future, to repay indebtedness and to support its business. The Company does not intend in the foreseeable future to pay any dividends or make any distributions to holders of its shares of Preferred Stock, other than quarterly distributions to cover your estimated tax liability. Any valuation at this stage is difficult to assess. Unlike listed companies that are valued publicly through market-driven stock prices, the valuation of private companies, especially startups, is difficult to assess and you may risk overpaying for your investment. In addition, there may be additional classes of equity with rights that are superior to the class of equity being sold. We have broad discretion in the use of the net proceeds from this Offering and may not use them effectively. Our management will have broad discretion in use of the net proceeds from this Offering, including for any of the purposes described in “Use of Proceeds.” Accordingly, you will have to rely upon the judgment of our management with respect to the use of the proceeds, with only limited information concerning management's specific intentions. Our management may cause the Company to spend a portion or all of the net proceeds from this Offering in ways that our members may not desire or that may not yield a favorable return. The failure by our management to cause the Company to apply these funds effectively could harm our business. Pending their use, the Company may invest the net proceeds from this Offering in a manner that does not produce income or that loses value. When you complete your investment on SeedInvest, your money will be transferred to an escrow account where an independent escrow agent will watch over your investment until it is accepted by Get Maine Lobster. Once Get Maine Lobster accepts your investment, and certain regulatory procedures are completed, your money will be transferred from the escrow account to Get Maine Lobster in exchange for your securities. At that point, you will be a proud owner in Get Maine Lobster. Separately, Get Maine Lobster has set a minimum investment amount of US $1,000. Currently there is no market or liquidity for these securities. Right now Get Maine Lobster does not plan to list these securities on a national exchange or another secondary market. At some point Get Maine Lobster may choose to do so, but until then you should plan to hold your investment for a significant period of time before a “liquidation event” occurs. A “liquidation event” is when Get Maine Lobster either lists their securities on an exchange, is acquired, or goes bankrupt. This is Get Maine Lobster's fundraising profile page, where you can find information that may be helpful for you to make an investment decision in their company. The information on this page includes the company overview, team bios, and the risks and disclosures related to this investment opportunity. If the company runs a side by side offering that includes an offering under Regulation CF, you may also find a copy of the Get Maine Lobster's Form C. The Form C includes important details about Get Maine Lobster's fundraise that you should review before investing.